Over the past 20 years Chikitsa Diagnostic Centre at Chembur has developed a strong reputation for extremely reliable ultrasound scan reporting. It has become a referral centre for all kinds of difficult ultrasound cases. 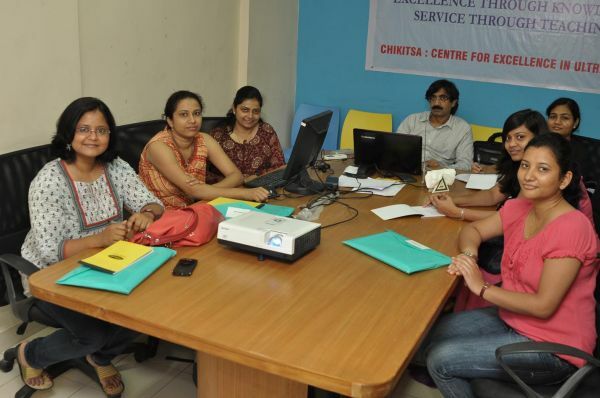 Chikitsa gets referrals from medical specialists all over Mumbai and also from out of Mumbai. The Centre is known for reliable pregnancy scans, sonomamography, dopplers studies, and other specialised ultrasound scans. The highest level of accuracy is maintained for Nuchal Translucency scans, which are performed according to the Fetal Medicine Foundation (FMF), London standards. We also have the FMF software license for nasal bone, ductus venosus, tricuspid regurigation, and uterine artery doppler. Venous and arterial peripheral doppler studies are conducted according to the highest standards.